Individual air conditioning systems to feed individual rooms that are larger in size and therefor a bigger capacity is required. 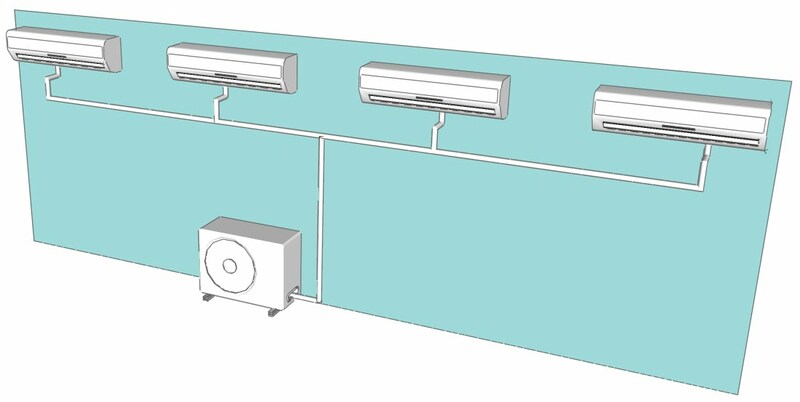 Up to 4 indoor units can be connected to a single outdoor condenser unit. To spread the load ALL indoor units have to be run at the same time in either heating or cooling mode.